This knife does not break the good name of Cold Steel. 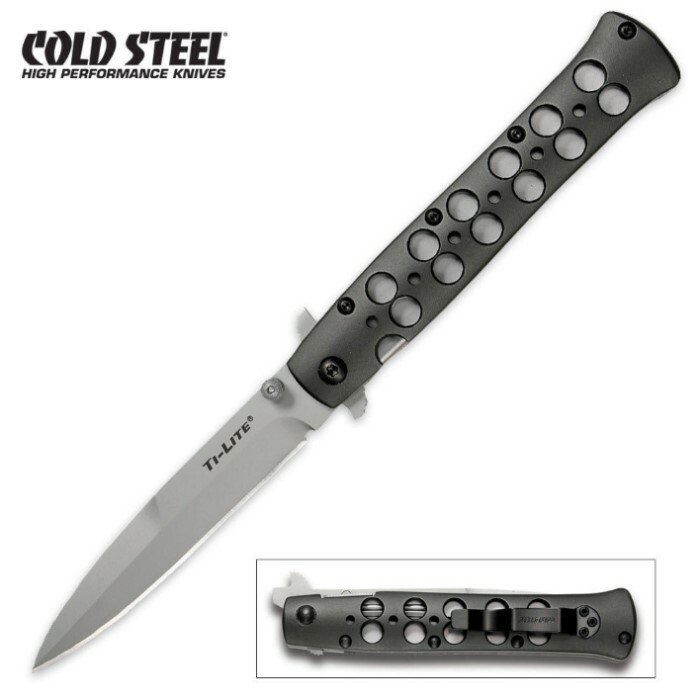 Before I recieved this knife, I would juggle between three other knives. That was before, this is now, and this is the only knife I carry with me at all times. A few screws have fallen out and I've broken the clip off, but that is almost expected after learning how to throw it five meters into a dart board. An excellent folding knife. The construction is solid enough that it could be used as a striking weapon without even opening it, the blade is almost ridiculously sharp, and there are no fewer than three different ways to open it with just one hand. Highly recommended if you have the money to burn.